One-way From Washington Sq N.
Sophisticated one-BR condo completely renovated. Well-designed with tastefully upgraded materials and modern features throughout while maintaining lots of charm, character and historic features. Impressive custom kitchen with island seating; all-new appliances; silver gray cabinets; stone counters; honed stone tile backsplash; new HW floors; recessed, under cabinet & pendant lighting. Within the unit is an efficient/space-saving, all-in-one Euro-style washer/dryer. The bathroom features Herringbone Marble tile flooring; large-scale stone subway tile in the tub/shower area; new vanity & commode. Refinished Oak floors, freshly painted interior, period detail; plus tons of outlets, recessed lighting & modern amenities. New utilities including a gas furnace, HW tank, and elec re-wired throughout with new service panel. 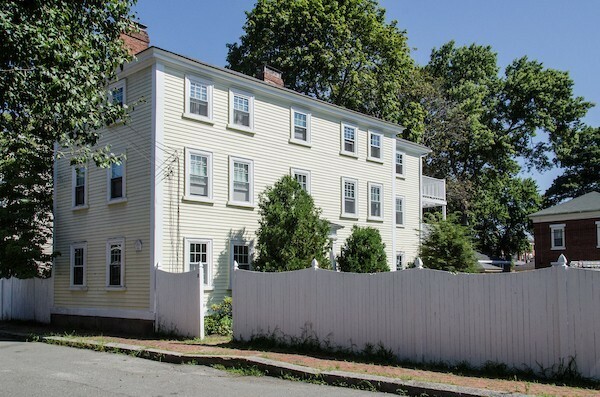 A terrific location; a stone's throw to restaurants, shops, Salem Commons, historic sites/attractions & just a 2-minute walk to the train! 1c parking. Exclusive use of deck.